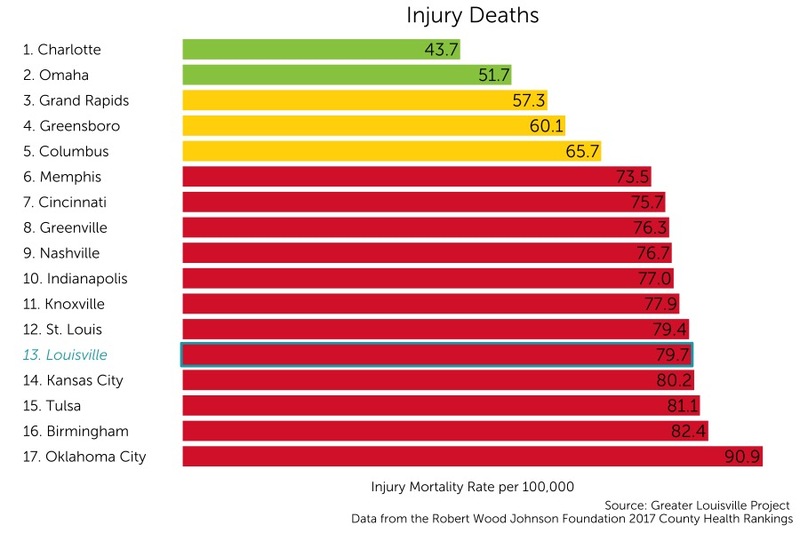 Injury mortality rate is the summation of both intentional and unintentional deaths, including criminal deaths and “accidental” deaths such as falls and poisonings. Louisville currently ranks 13th among its peer cities in injury mortality rate with 79.7 injury deaths per 100,000 people. Injury deaths include deaths from intentional and unintentional injuries per 100,000 people. Intentional injuries include suicide and homicide. Unintentional injuries include poisoning, motor vehicle traffic, and falls.